IT’S BEEN A LONG WINTER and it’s so welcome to finally see a little watery sunshine again and have a brief respite from the chilling winds of the past few months. I felt it time, upon this encouragement, to pull out some summer training gear and head out to the local villages for a canter round the pretty lanes. Over the past six weeks I’ve been running three and latterly four miles twice a week to augment the single mile minimum I undertake to carry out every single day in order to continue my running streak of consecutive days which now stands at around thirteen years and three months. For the past few weeks too I’ve been trying to slowly awake from my winter slumbers with a short session of Royal Canadian Air Force exercises each and every day, building up very steadily. Substituting the track suit bottoms and rain jacket with a pair of shorts and t-shirt for the first time in some six months, it was a pleasant and reassuring feeling cruising in the car down Bank Hill which overlooks the beautiful Woodborough valley, to my start point at The Nags Head at the east end of Woodborough village. Today I thought, I’ll have a slight bump up to five miles of a run. ‘From little acorns do mighty oaks grow’ is an old phrase not lost on me when it comes to running. I’ve had so many years doing this thing year in, year out, that I understand that whilst not being very fit at the moment, this will change once the ‘building blocks’ of regular training are cemented into place. It takes patience, hard work, commitment and perseverance. 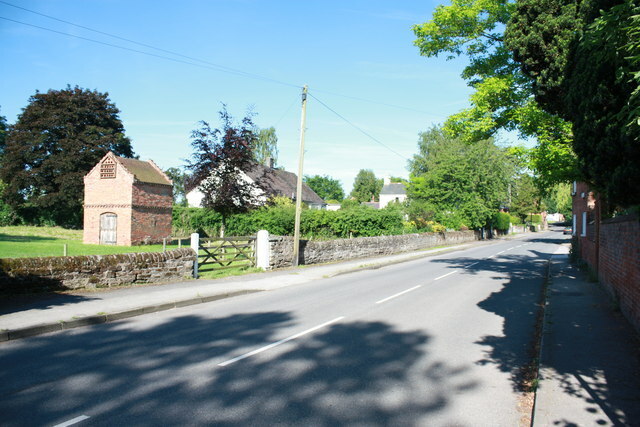 With April bird song sweetly ringing in my ears I was shortly passing along Epperstone villages’ Main Street and on to the rural Gonalston Lane. Bordered by green fields and busy hedgerows, accompanied by the tip-tap sound of my training shoes. The countryside still looked in hibernation with only an odd strenuous and failing attempt at Spring blossom by a solitary cherry tree in Epperstone. Further along the route, evidence of Winter’s destructive and stormy weather manifested itself with a collapsed wooden bridge at Lowdham Mill. Grave council warnings lay pinned to the fence stating the footpath to be blocked for that reason but a ginger few steps took the runner on his way to the seclusion of the Old Lowdham Road, passing on to Lowdham Lane and the end point at Woodborough village. A drink of cold water to finish at the gate of the Nag’s Head’s deserted garden. Just a few brave daisies push up from the grass and the bench and umbrellas wait patiently and silently for the Summer months. Since this pleasant run I’ve been fortunate enough to have another identical run at the weekend around the villages and enjoyed it’s portents for the oncoming of summer and longer runs in the warmer weather and sunshine, hopefully. It’s time to get ‘back on the road’ again. The good news…and the bad news. A few months ago in the depths of winter I had my bike stolen. It was a nice bike, 27-speed Japanese gearing and all that, probably well over-qualified for my generally undemanding recreational needs of tootling round the local village lanes in the dog days of summer. Fortunately, I have been recompensed by the insurers and replaced my wheels with a bike that’s slightly superior. I have a few routes near home but I really like this one. 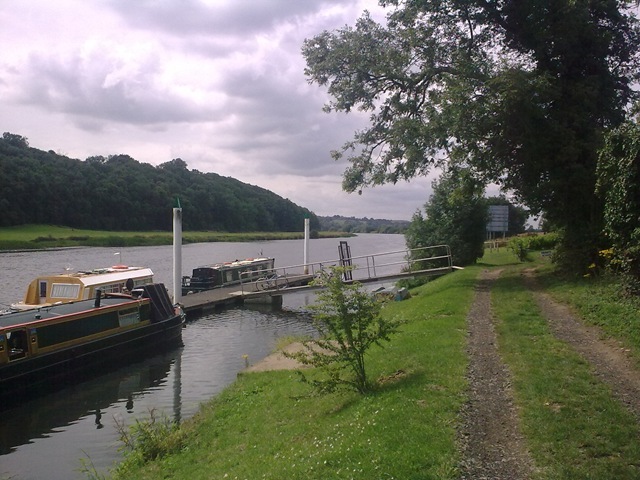 It’s around 21 miles duration and takes in no less than six villages and passes a whopping ten pubs along its winding way. I seldom, if ever, prop my bike outside any of these pubs, apart from on the way back at the Nag’s Head but I have often done a mental pub-crawl in my head! Just recently I’ve taken to cycling from my home the extra 5-6 mile each way to Woodborough and back up and down a couple of monster hills to complete this distance. At least the view is pretty whizzing down the steep slopes of Bank Hill – even on a hazily sunny day. A right turn at the junction on the Dover Beck-lined Woodborough Main Street takes us presently past the Four Bells public house, so called after the number of bells in St Swithun’s church which stand diagonally opposite on Main Street. The wheels keep rolling through the village and past the afore-mentioned Nag’s Head in the pretty and historic village of Woodborough, Notts. 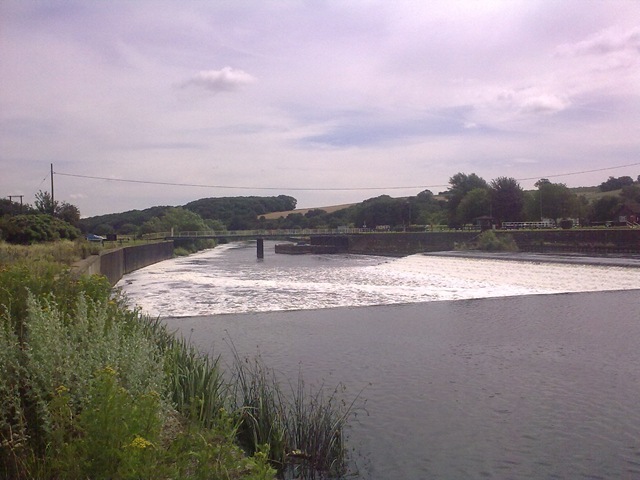 I’ve written about my liking for this place before so I’ll leave it there as I work through the gears down Lowdham Lane and off around the pretty Trent villages. 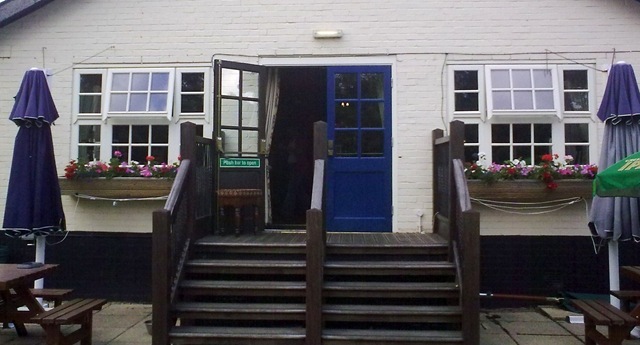 There are few images of the Springfield Inn at Lowdham to commend it which is a shame. Here’s one I took anyway. 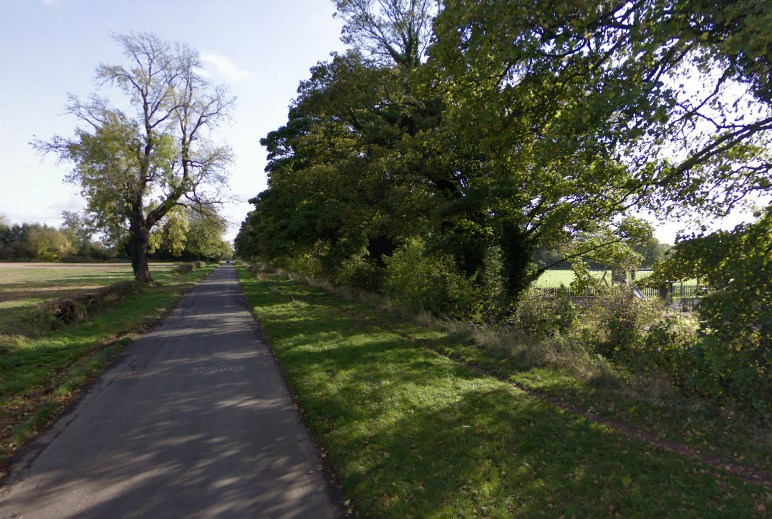 This place is a bit of a curiosity I always feel in that, for me, it’s nearer Woodborough and certainly not within either that village or it’s address of Lowdham, rather sitting quietly off the old Epperstone Road. It’s a popular chain-run place these days though not unpleasant for all that. I remember as a teenager though when it was but a fraction of the size and a beautiful cosy pub before anyone had coined the phrase ‘chain eating place’. 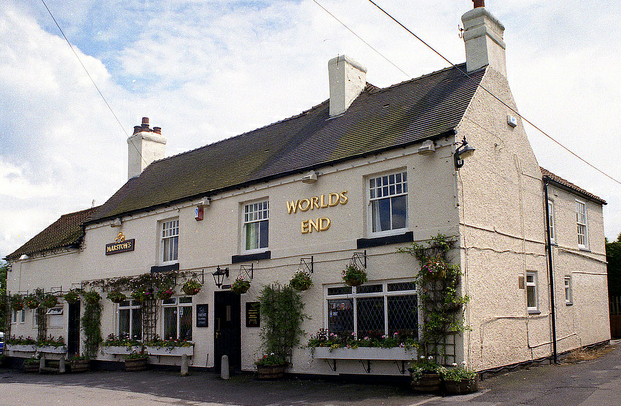 In practice, my little bike ride runs past the fourth pub on its journey in the World’s End at Lowdham Grange. Such a lovely rural hostelry with it’s still-remaining open fireplace a welcoming spot in the local countryside after a winter’s day walking. I really can’t comment the World’s End highly enough. 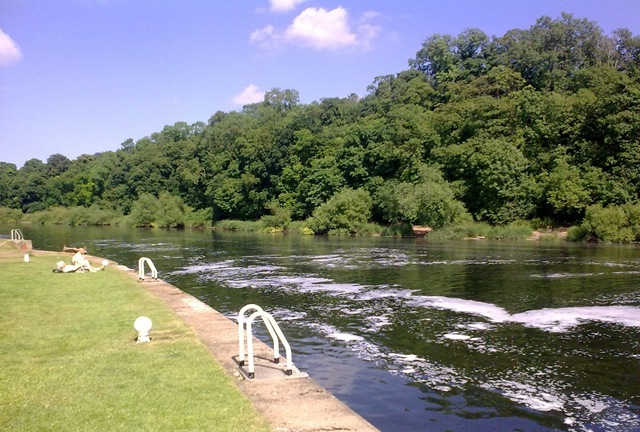 In the past, I’ve written of a few of my favourite watering holes, particularly in Nottinghamshire. Some have been notable for a particular reason such as their history or perhaps their quirkiness. Others have been well, just because I’ve always simply loved the places. The Nags Head at Woodborough easily falls into that parameter. I’ve always felt close to the village of Woodborough. It’s but a few minutes drive from my home. This is doubtlessly originally because my sister has long and happily resided in the village. I know it very well, and most of it’s nooks and crannies. I also spend an inordinate amount of time there, walking, running and cycling from there and drinking and eating locally. 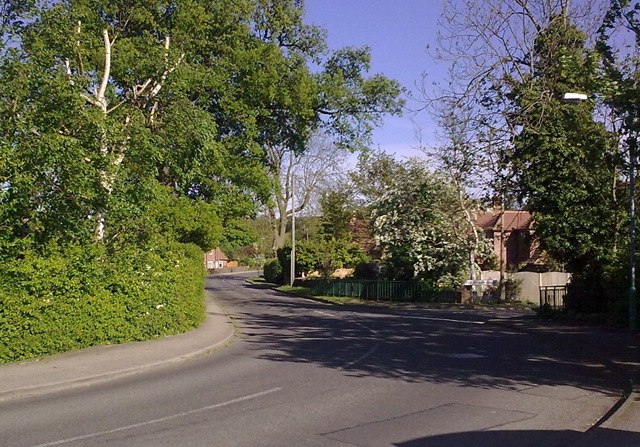 Woodborough and it’s other pretty neighbours of Lambley, Lowdham, Epperstone, Gonalston, Gunthorpe and Hoveringham are just a few of the villages that tend to be my ‘playground’, during the summer months in particular. 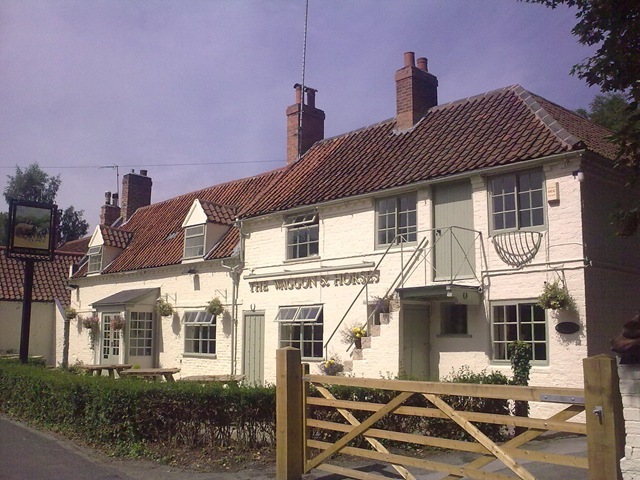 It’s reputed that the village once boasted around a dozen pubs in years gone by. Those days are past now and whilst one or two of the buildings still exist where the likes of The Bugle Horn served ale to the obviously thirsty locals, just two pubs, The Four Bells and The Nags Head remain, situated at either end of the village. Of course it’s many a long year since I first entered ‘The Nags’ for my first pint there. In those days it was a drastically different, much smaller establishment. The interior was cosy, particularly the quite diminutive lounge that I would pop into with friends when passing through Woodborough. It’s a very different place these days but has rode the trends of the pub trade well I always think. On entering from the large car park, what used to be the small original lounge is immediately apparent, but as of many years now a large extension runs off to the left. Immediately to the right of the entrance lies a good-sized bar with games and TV for those interested in such things. That seems to be quite a few people actually and darts nights and the like appear to be perennially popular in there judging by the enthusiastic noises that emanate into the lounge regularly. A pub is only as good as the people who inhabit it and staff it I always feel. Landlord and landlady, Ken and Michelle guarantee a friendly and cheery welcome. There’s always a little banter, as us Scots like to enjoy, from Ken, a keen Celtic supporter. Absolutely nothing against the historic institution that is the ‘Tic Ken but when are you going to come onside to enjoy the original team in green – Hibernian FC? 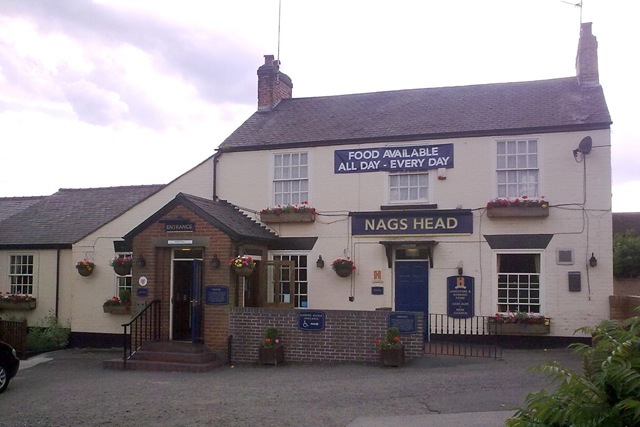 If the pleasant, personable and friendly staff in the Nag’s Head aren’t chosen for such laudable virtues one would never know. Almost invariably, in spite of how the busy the trade at the bar gets, the same friendly welcome and service is always afforded. These are very much reasons why my partner and I (and other friends) come back and back to the Nags. The kitchen at the pub always appears in the depths of industry and a busy ship. I don’t eat here too often but the fact that so many do indicates to me that they’re doing something very right and satisfying people’s needs. Another nice aspect to the pub is that it manages to attract an older clientele among it’s mix of customers. It’s good to see senor folk out enjoying themselves socially with their friends and I believe the safe and friendly environment in the pub encourages this more than practically any pub I know. The Nags Head week is punctuated by two popular quiz nights on Tuesday and Thursday evenings read expertly by quizmaster, Steve, and a games night on Sunday evenings of ‘sticky thirteens’ card games and an ‘open the box’ feature which always guarantees a smile or two where a hapless competitor can win a bag of nuts (not those expensive cashews mind! ), a gallon of beer or maybe even that elusive jackpot. You’ll need to visit on one of those evening to find out what a ‘King for Edgar’ is! An important point to those nights is that charily is always regarded highly in this pub. 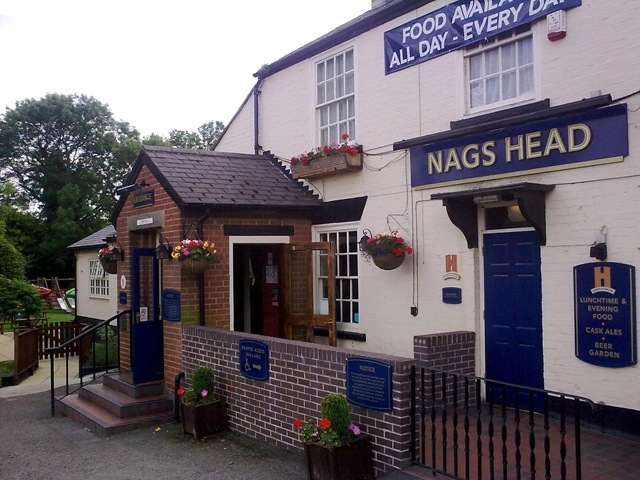 The Nags and it’s regulars does some excellent work in raising money for charities and concentrates each year on giving a helping hand to charitable institutions that have a local connection. A year or two ago my sister’s neighbours lost their wonderful young son to the little known condition of Sarcoma. It was extremely heartening to see the support that a local community can give at a time of such sadness. Well done to all concerned. 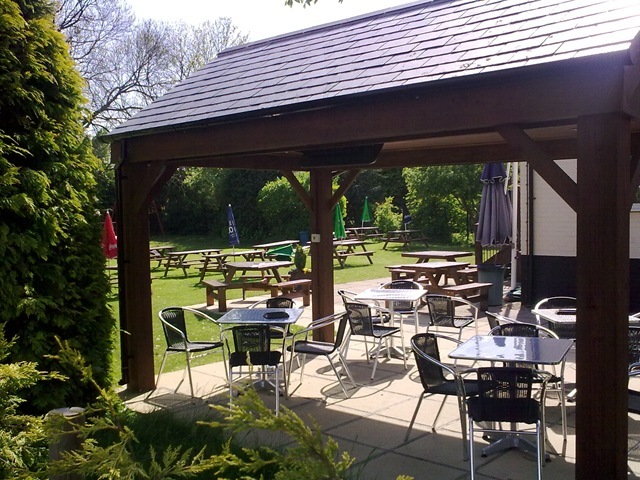 The Nags Head excels itself during the summer months due to a lovely garden to the rear. It’s a perfect place to relax in the sun, not just for seasoned drinkers but very much for families as Mum and Dad can happily look over their children as they play excitedly on the array of swings, slides and climbing frames for them. It’s idyllic and perfect for families as I am sure my own nephew, his wife and young daughter who live just around the corner would readily agree. 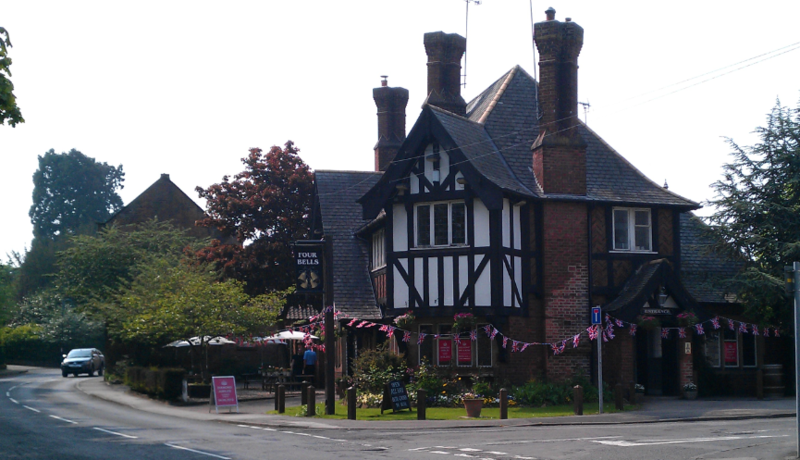 I pass by the way of the Nags Head many times a week generally. During the past few months it resumed as a ‘base’ and a starting point for a run every Sunday for a friend training for the London Marathon and I. It remains a weekly habit and the pub is always a very welcome site on the horizon after our long runs! That Sunday drink inside or outside at The Nags is easily the most enjoyable of the week! I’m just as liable to repeat this procedure, when time permits in the week too. You can tell I like it there eh? 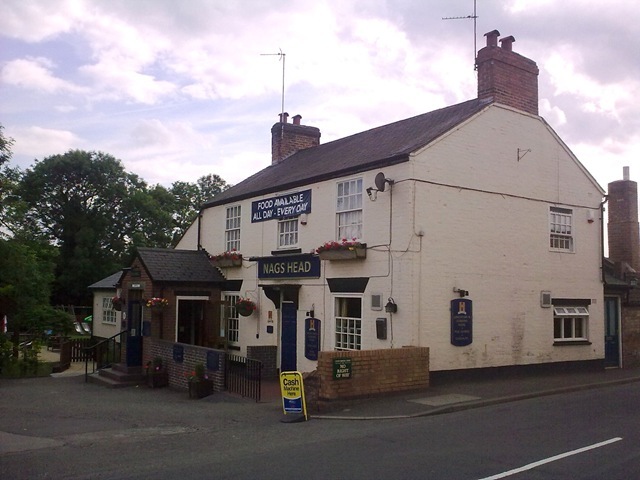 The Nags Head is situated at the eastern end of Main Street in Woodborough just on the sharp bend that takes one on down to Lowdham via the lane of the same name. It’s open throughout the day every day. You’ll be assured of a pleasant social at this happy rural watering hole.